Whiteheads or blackheads are a very common problem and can be treated by natural home remedies. They are basically a type of acne and pimple. It’s very annoying and can make your beautiful skin look ugly. This problem mainly occurs in people with oily skin. There are other reasons for whiteheads as well such as pollution, smoking, unhealthy diet etc. There many over the counter cream and oil available to cure whiteheads but natural remedies are the safest and cheapest way to remove whiteheads from nose or face. They are a type of acne or a pimple and similar to blackheads but white in color. Whiteheads occur when oil, bacteria or dead skin tissue stuck inside pour of your skin. But whiteheads are difficult to remove as compare to blackheads. They don’t come out so easily so treatment for whiteheads is a bit challenging. More than 80% of Americans suffer from whiteheads at some point of time in their life. Puberty or menstruation can cause whiteheads or acne. Whiteheads are a bit challenging to remove as compared to blackheads. There are many natural and effective way to cure whiteheads naturally. Apple cider vinegar is a good natural remedy To Remove Whiteheads on Face. 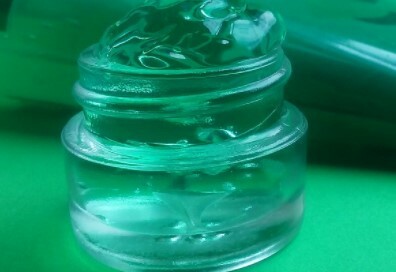 It works as an astringent and remove excess oil from skin and make your skin whiten. 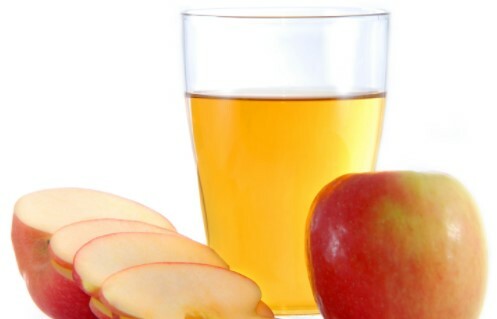 Using apple cider vinegar also helps to remove a pimple because of its antiseptic and antibacterial properties. Take one cup of water and add one tablespoon of ACV. Now mix it well and apply this mixture on your face and nose with help of cotton ball. Leave it for 15 minutes and then wash it off with water. Use this remedy 2-3 times in a week. You can also prepare a paste of cornstarch and apple cider vinegar. Mix one tablespoon of apple cider vinegar and three tablespoons of cornstarch. Now apply this paste on your face and leave it for 15 minutes then wash it off with cold water. Use this remedy once or twice in a week. Another effective home remedy for whiteheads treatment. 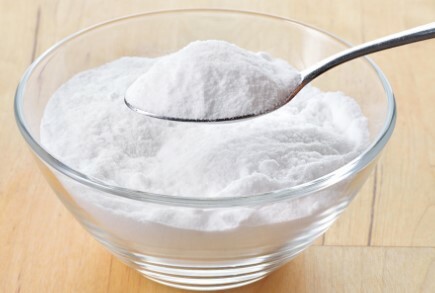 Baking soda helps to open up the pores and removes impurities or dead skin tissue stuck in pores. It also reduces the level of sebum of skin and cures acne. Take 3 teaspoons of baking soda and prepare a paste by mixing it with water. Apply the paste on whiteheads on your face and nose. Let be there for 15 minutes and wash it off with lukewarm water. You apply this remedy once or twice in a week. The oatmeal mask helps to remove whiteheads from the face by reducing the level of sebum. It also removes the impurities by opening up the pores and hair follicles. This home remedy also makes your skin whiten, moisturize and tone. 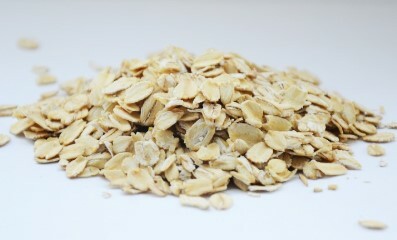 To prepare oatmeal mask you need to mix 1/3 cup of oatmeal, ¼ cup of brown sugar and ¼ cup of honey. Now apply this mask and massage on your face for 5 minutes. After 5 minutes wash it off with lukewarm water. You can use this remedy once or twice in a week. You can also make an oatmeal mask by mixing rose water and oatmeal. Apply this paste on your face and leave for 20 minutes. Wash your face with lukewarm water. 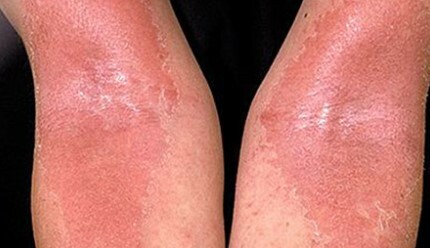 Use this remedy 2-3 times in a week until you get relief from whiteheads. This natural remedy helps to clean your skin by unclogging the pores. 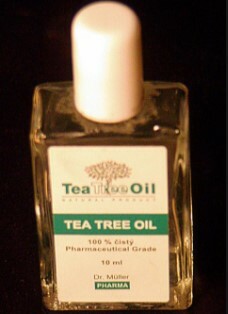 Tea tree oil also has antibacterial properties which help to remove bacteria and dead skin cells. Apply tea tree oil on whiteheads on your face and nose with the help of a cotton ball. If you are allergic to tea tree oil then use other natural remedies to cure whiteheads. 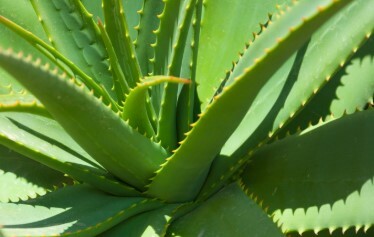 Aloe Vera contains salicylic acid and sulfur which help to cure acne as well as whiteheads. It has healing and antioxidant properties which help to clean your skin and make it smooth and tone. Take aloe vera gel and mix it with honey. 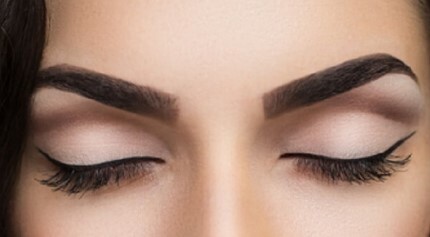 Apply this mixture on whiteheads directly and leave it for 15 minutes. Wash your face with lukewarm water after 15 minutes. You can use this remedy 2-3 times in a week. Take one teaspoon of fresh aloe vera juice and mix with one teaspoon of lemon juice. Massage with this mixture on your face for 5 minutes. After 10 minutes wash it off with lukewarm water. Use this natural remedy twice in a week. Gram flour is a great home remedy to get rid of whiteheads. It helps to clean your skin by removing dead cells and absorb excess oil. This remedy also helps to remove facial hairs. 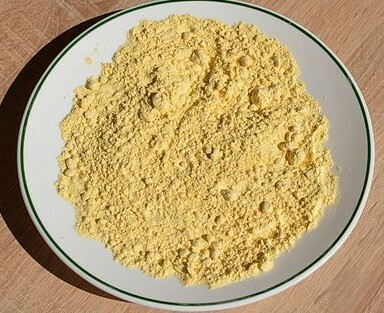 Make a thick paste by mixing yogurt and gram flour in a bowl. You can also add a half teaspoon of turmeric. Apply this paste on your face and let it dry completely. Wash your face with water and use this remedy two or three times in a week. If you want to remove whiteheads in a day then apply toothpaste on whiteheads. It also helps to clean the dead cells and impurities from the pores. Apply toothpaste on whiteheads and leave it for an hour. Then wash your face with water. 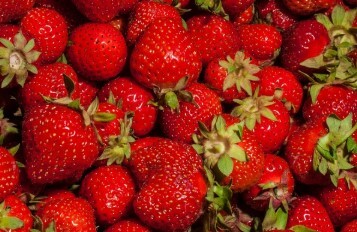 Strawberries are a good home remedy for removing whiteheads fast. It helps to exfoliate the skin and remove impurities, dead cells and excess of oil clogged in the pores. Prepare a paste of 2-3 strawberries mashing them and add one teaspoon of honey. Massage with this paste on your face for 5 minutes. You can wash your face after 15 minutes and use this remedy twice in a week. There are many scrubs available in the market but they are expensive and their success is always doubtful. Sugar scrub is simply the best natural and homemade scrub for whitehead removal. It helps to unclog the blocked pores and remove dead cells or our other impurities. You can also use sugar and olive oil scrub on children. 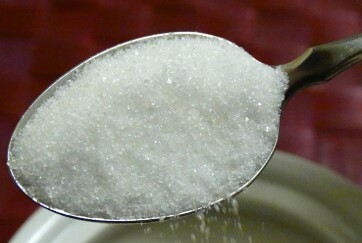 Take one tablespoon of sugar and add a few drops of olive oil. Now mix it well and then apply on your face with the help of soft toothbrush or with your finger. Massage for at least 5 minutes then rinses your face with cold water. Repeat this remedy once in a week for months. 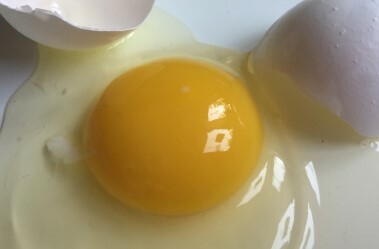 White egg contains protein which helps to repair your skin and remove dead cells. It also unclogged the blocked pores and remove impurities. Mix one egg white and one tablespoon of honey. Apply this mixture on your face and leave it for 15 minutes. After 15 minutes wash your face with normal water. Repeat this remedy once or twice in a week. You can avoid whiteheads or acne by using the following tips. Wash your face daily with lukewarm water and herbal soap. Be careful while shaving and use a good quality blade and shaving cream. 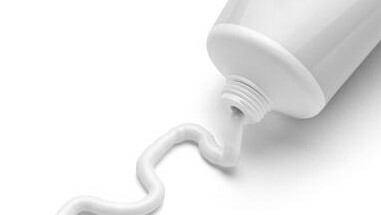 Avoid sunburn and use good quality cream to avoid sunburn. Do not touch your skin too much or pop out a pimple forcefully. Always remove your make before going to bed. Do not use too much cosmetic. Stop smoking and drinking alcohol too much. Eat green and leafy vegetables more. Avoid oily and junk food to prevent whiteheads. Do yoga to or meditation exercise to get relief from stress.